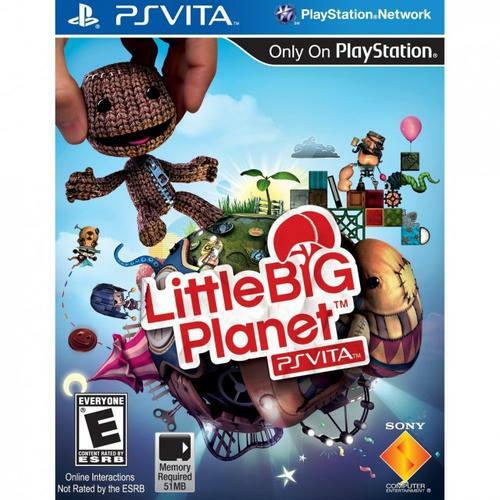 LittleBigPlanet is one of the more memorable games to be release by Sony in recent years. Overflowing with charm and a unique look, LittleBigPlanet has already made two successful appearances on the PlayStation 3 and one on the PlayStation Portable. While the PSP game in 2009 was a fun game in its own right, it was naturally a scaled down experience from the console version. That is why expectations were high for LittleBigPlanet on the PlayStation Vita, as the added processing power of the handheld should lend to a more authentic LittleBigPlanet adventure. The good news is that LittleBigPlanet PS VITA delivers on this promise. The Vita’s powerful hardware means that the game has been brought up to the same level as the console version, whether it is the graphics or sounds. The Vita’s touch screen has also been extensively weaved into the gameplay, which is probably the best use of the function on the handheld so far. All the classic LittleBigPlanet platforming gameplay is in the Vita game, with enough preloaded levels to keep a player occupied for a while. The level creation aspect of LittleBigPlanet has tended to be the biggest part of the game for a lot of people, so those who never liked the creation aspect of the game, or playing other people’s creations, may be left wanting more. - Highly polished platformer that is faithful to the console version. - The graphics in LittleBigPlanet PS VITA are some of the best seen so far on the Vita. - The sounds and music are well implemented and appropriate to the game setting. - Touch controls are great and the game was cleared designed for it. - The music selection can be esoteric at some points in the game. - Back touch pad can be a bit unresponsive at times unless you hold the vita in a certain way. - Game comes preloaded with single player levels, but overall enjoyment will depend on whether you play online, or whether you are willing to create or play created levels by other users. - Some of the mini games that make use of the touch pad are not as responsive as they should be. LittleBigPlanet PS VITA is not only a fun handheld platformer, it is also the best game to come out on the Vita thus far.